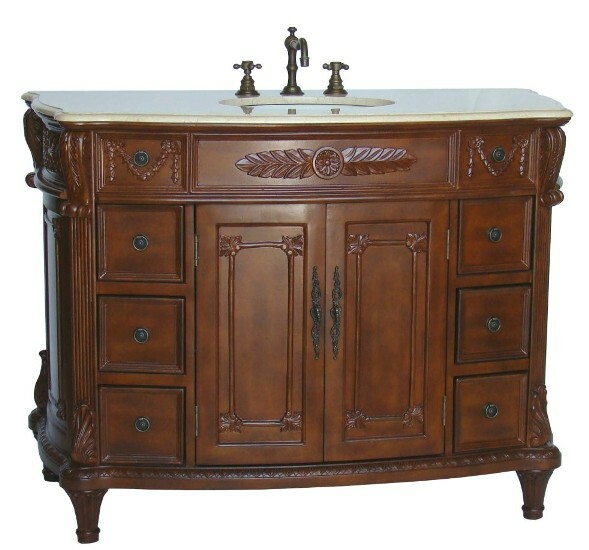 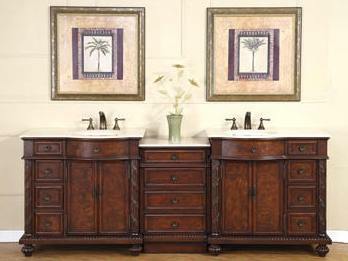 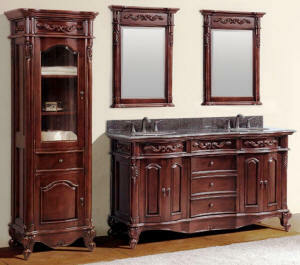 This lovely sink vanity will take your decorating to a higher level in your house. 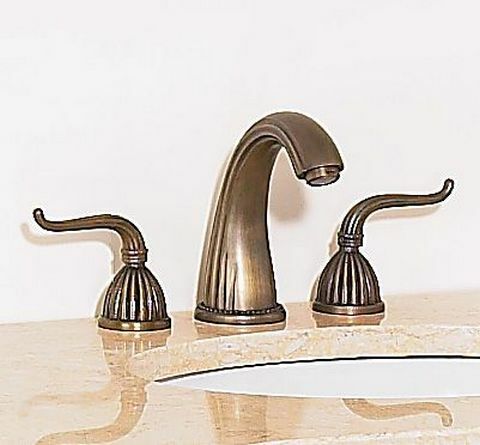 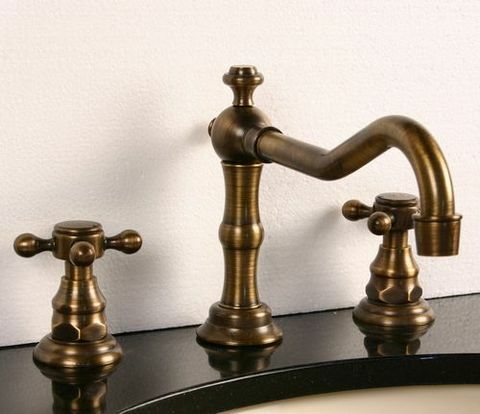 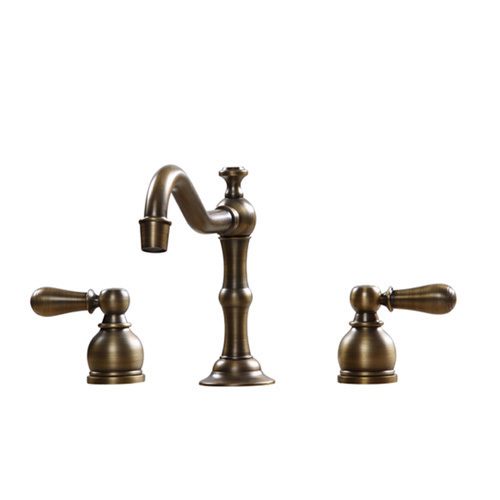 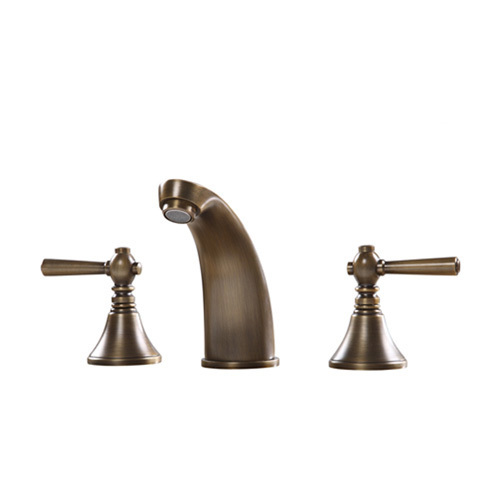 Its unique antique-style reflects the gentle grace of a bygone era. 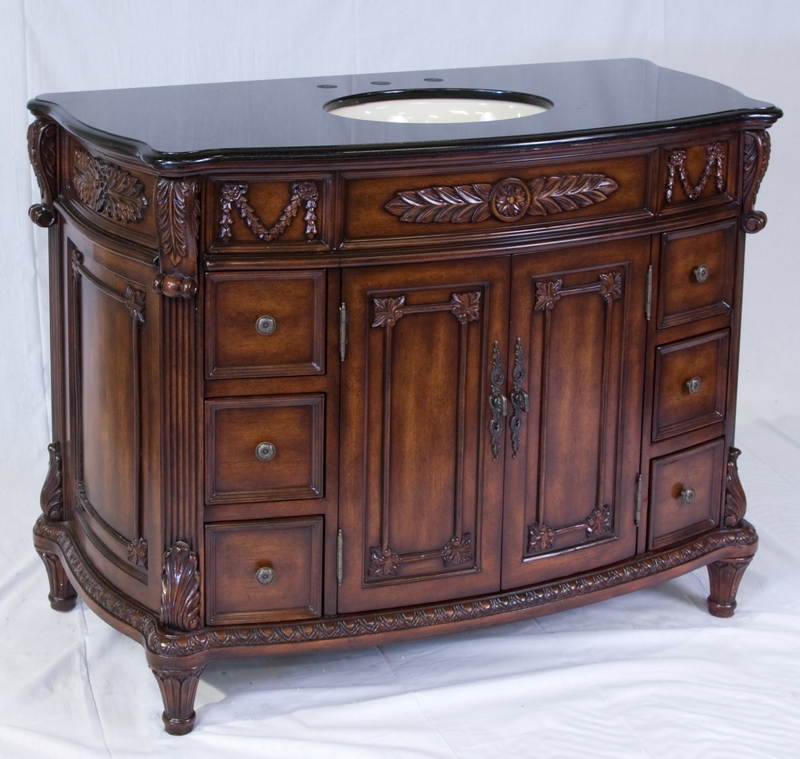 The beautifully carved cabinet has a light warm cherry finish and is constructed of sturdy composite wood with six coatings of paint. 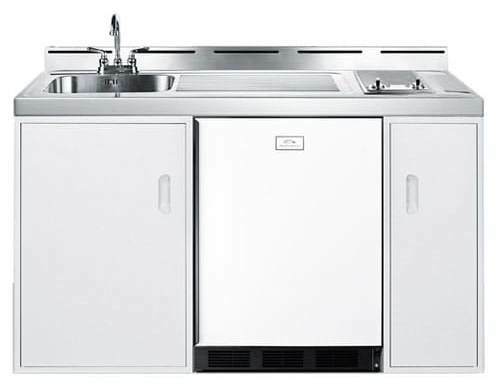 Features 2 doors concealed under-the-sink storage space. 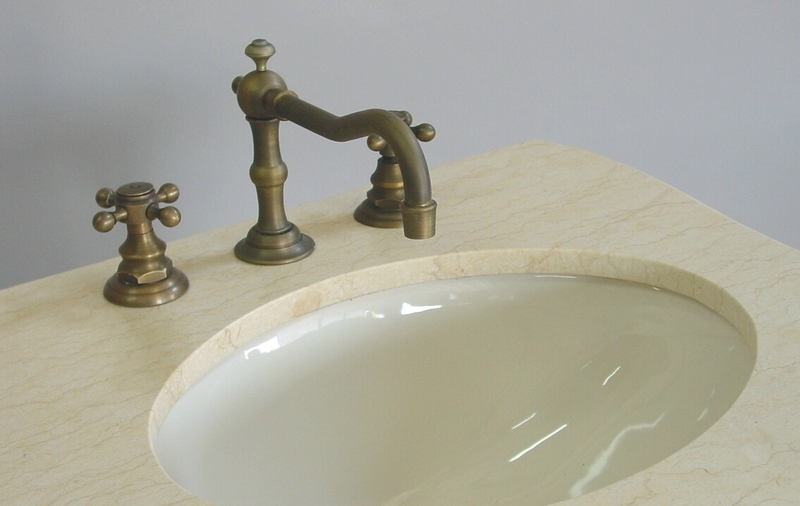 Cream color marble top, under-mounted biscuit porcelain sink, drain extension, P-trap all-inclusive in the price. 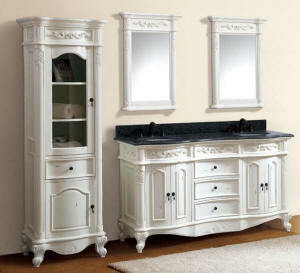 Overall Dimensions W=48" D=24" H=36"
Available in Cream Marble Top, above or Black Granite Top, below.